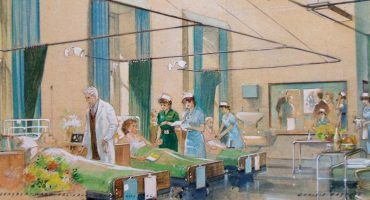 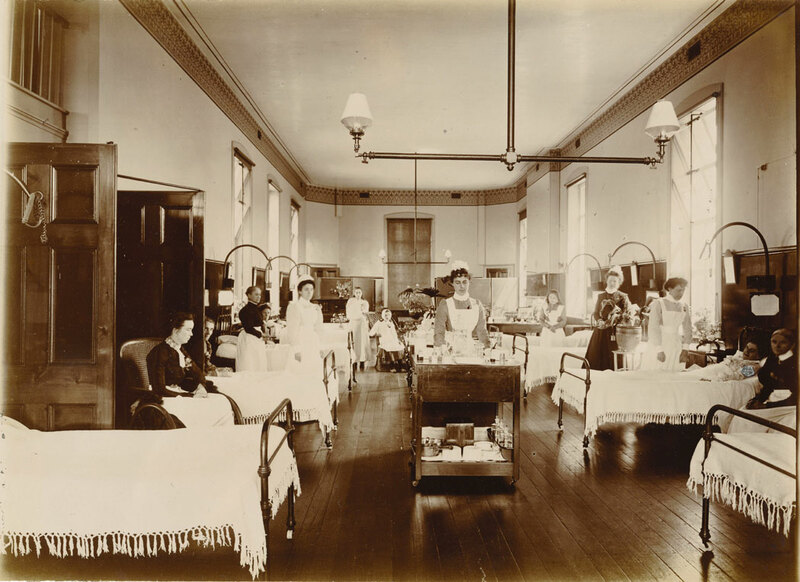 Our collection contains some photographs from around the turn of the 20th century, showing a range areas at Salisbury Infirmary. 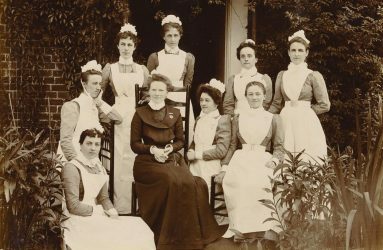 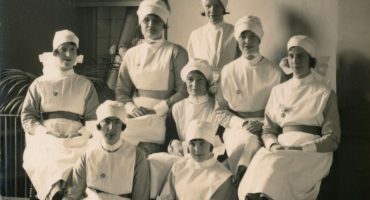 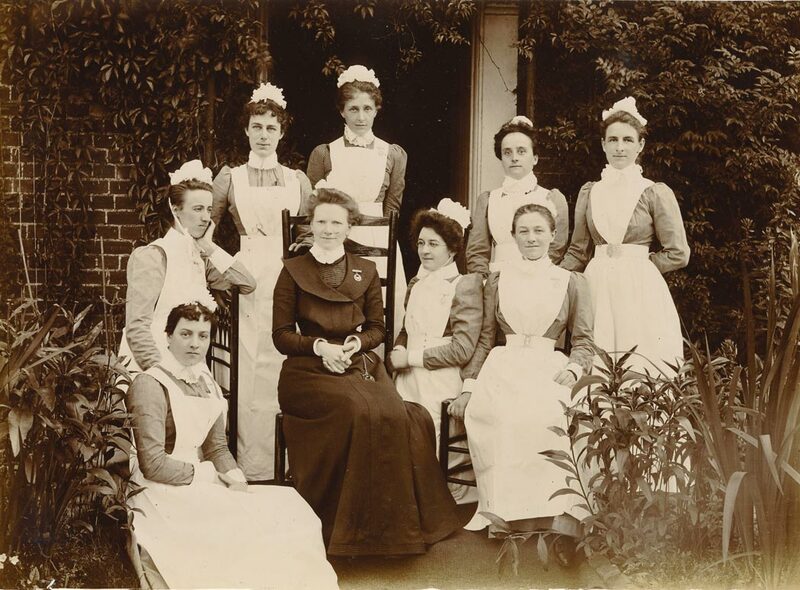 Matron at the time, Mary McMasters, is seen posing for a photograph with her nursing team around her – notice how the uniforms contrast with the scrub’s worn by nursing staff today. 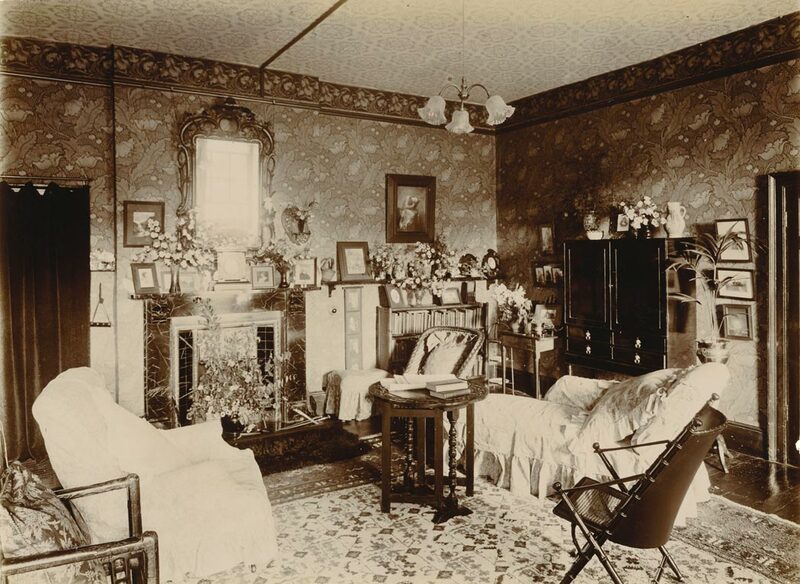 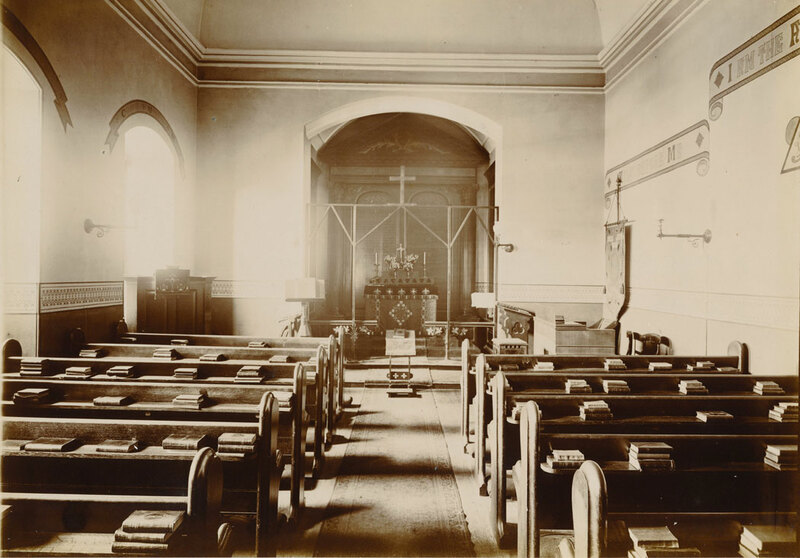 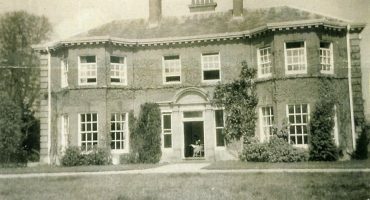 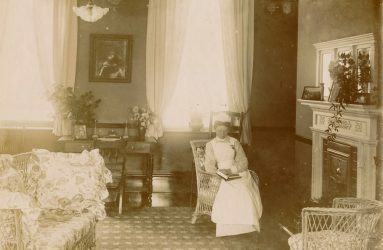 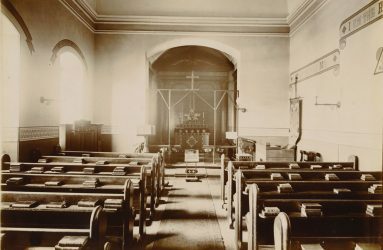 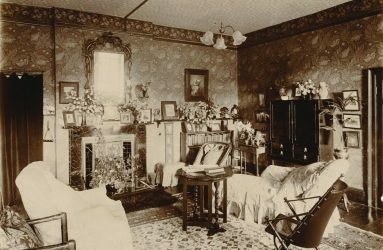 In other images, the Infirmary chapel stands in stark contrast to the Sister’s sitting room, which is highly decorated in a domestic Victorian style. 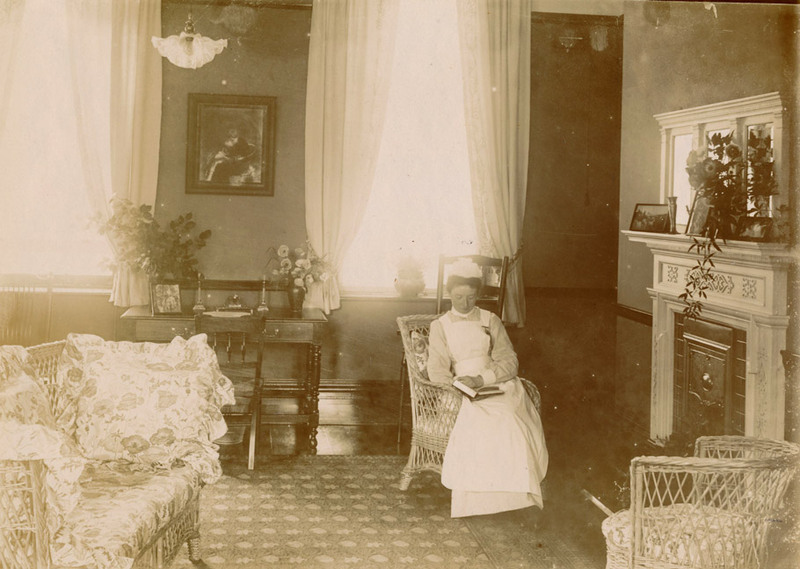 This style, somewhat simpler, is seen again in the furnishings and interior of what was probably a nurse lounge area from the period. 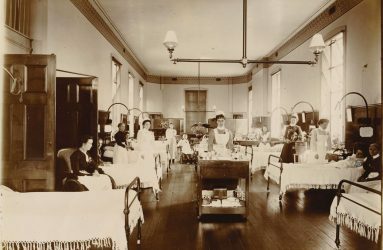 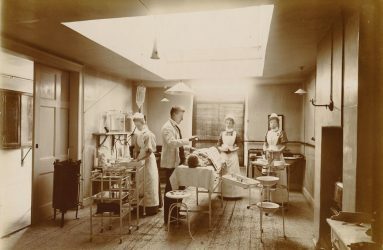 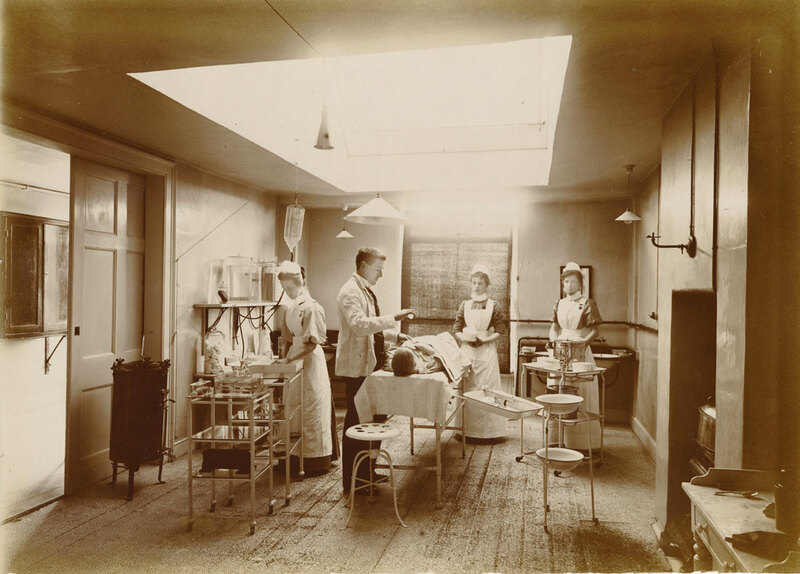 Other photographs provide a glimpse of an early 20th century operating theatre, with bare floorboards, gas lamps and electric lights, which were installed around 1902 and a nurse dispensing medicines from the drug trolley on a female ward of the Infirmary.